Face it: Life is hard. From having to worry about putting food on the table and making a marriage work to taking care of children and dealing with illness, there are a multitude of things that a person has to deal with in life. They say that there are two major periods of increased stress in the lives of most people: going off to college and getting married. College presents young men and women with plenty of new stressors that might include: unfamiliarity with a new location, homesickness, lack of friends, difficult classes and exams, peer pressure, and more. While being a time of great joy, marriage also brings stress along for the ride. How to propose, picking out the perfect wedding dress, planning a wedding, spending lots of money, and the acceptance of the parents are just some of the causes of stress involved with holy matrimony. Since stress is clearly an unavoidable aspect of life, we need to learn how to deal with it in a healthy and effective way. The following are some great ways to reduce your stress levels and enjoy life just a bit more. Accidents often happen away from home, but being prepared can put your mind at ease, cure minor ailments or offer immediate treatment before you can see a physician. Typical first-aid kits contain chemicals, but an herbal first-aid kit contains everything you need to treat and prevent a variety of issues. You will be prepared for most common conditions while away from home with this collection of herbal first-aid kit essentials. Honey has been found in ancient Egyptian tombs. These ancient samples were tested and found to be edible even though they were thousands of years old! 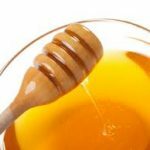 Honey is the only food product that can be stored at room temperature indefinitely without spoiling or significantly losing its nutrient content. Even if it crystallizes, it is nutritionally unchanged and edible. Most think of it as a natural sweetener with a unique taste but honey is so much more. Morning sickness is a condition that occurs early in the first trimester of pregnancy. It is characterized by nausea and vomiting. Even though the technical term for this condition is morning sickness, it can occur at any time during the day or night. It is estimated that anywhere from 50 to 90 percent of pregnant women are afflicted with morning sickness.